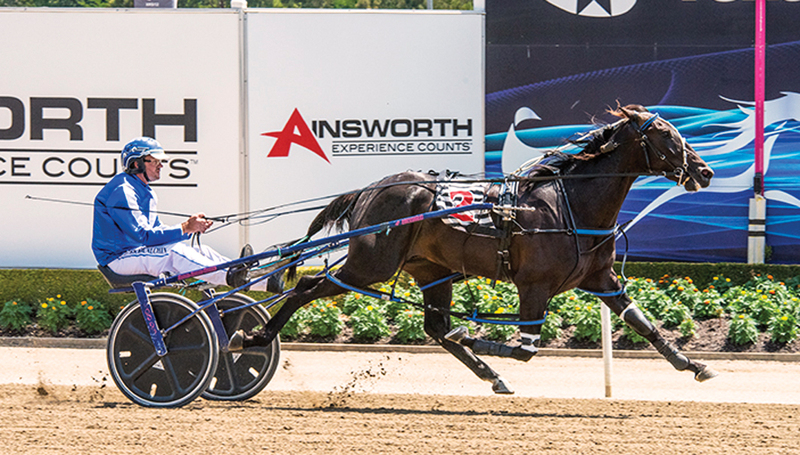 CLASSY colt Muscle Factory confirmed his position as the one to beat in next week’s Australian Pacing Gold Brisbane Sale Final. Taken to Queensland for last night’s heats at Albion Park, Muscle Factory registered a brilliant win for co-trainers Lauren and Shane Tritton. Driven by Lauren, the son of Roll With Joe worked to the lead from barrier seven before dashing to an arrogant 36-and-a-half metre victory from Timeless Appeal, with Our Ultimate Mary two metres away third. “He was first-up for five weeks and still did it as he pleased,” Shane said. “Lauren let him slide along to give him a descent hit out and that run will do him the world of good. Rating 1:54.1 over 1660 metres, the two-year-old’s time was 4.4 seconds quicker than For All We Know in the opening qualifier. Winner of the nation-wide APG Consolation last April, For All We Know led throughout from gate three with Luke McCarthy holding the reins. Prepared by Victorian horseman Brett Bunfield, the daughter of Art Major stretched her record to two wins and four placings from seven starts for earnings of $41,165.